A couple weeks ago I wrote an article about the new digital camera (a Nikon Coolpix S4000) and video editing software (Sony Vegas Movie Studio HD) I purchased for my upcoming trip to South America. At the time, I was super excited about my new camera and its HD video capabilities. Unfortunately, my excitement for the Nikon Coolpix was very short lived. During my first week with the camera, I took a drive out to Dinosaur National Monument on my motorcycle. While there, I snapped a couple dozen photos… and that’s where the trouble began. After taking about 20 photos with my brand new camera, every once and a while I would get a “lens error” whenever I tried to zoom in. I didn’t think much of this at the time, as I figured it was just a rare incident. However, when I got home from my trip and went to watch some of the videos I had shot while I was in the Park, I realized that the microphone on my new camera was totally not working! The sound on all of the videos I had shot was completely not there. All I could hear was a loud buzzing sound coming from the camera. After discovering that the microphone on my new camera was totally not working, I ran to my pile of recent paperwork and pulled out the Best Buy receipt I had obtained when I purchased the camera. Unfortunately, I was three days out of the two-week warranty period. Nevertheless, I rode my bike over to the Best Buy electronics store where I had purchased the camera and told them about my problems. After about an hour, the good people at Best Buy gave me another camera (even though I was technically out of the warranty period). (At this point, I didn’t think there was anything wrong with the Nikon Coolpix as a whole. I just thought that I had received a dud the first time around.) So, Best Buy gave me another Nikon Coolpix and I happily took it home. But then, exactly two weeks later, I opened the camera and heard a loud popping sound come from the lens – not a good sound to be coming from a brand new digital camera. I wasn’t sure what the loud popping sound was that I had heard when I turned on the camera, but I didn’t care. I instantly grabbed the camera and returned to Best Buy, this time asking for a complete refund – no exchanges, no store credit, nothing. Obviously, the people at Best Buy tried to get me to buy something else, but I wasn’t going to do it. I did have to pay a $24 re-stocking fee to return the camera, but I was happy to have gotten rid of the camera and gotten back most of the money I spent on this glorious piece of $%#*. So, now I’m back to square one. I had wanted to find a digital point and shoot camera that not only took great still photos, but also shot excellent HD video. I thought the Nikon Coolpix S4000 was going to work for me, but it certainly did not. When you travel with a camera, you need something that is not only functional, but that can handle the demands of being on the road. The Nikon Coolpix S4000 is certainly not that kind of camera. In less than 4 weeks with 2 different cameras in my possession, I managed to take less than 100 photos before both items were eventually returned. 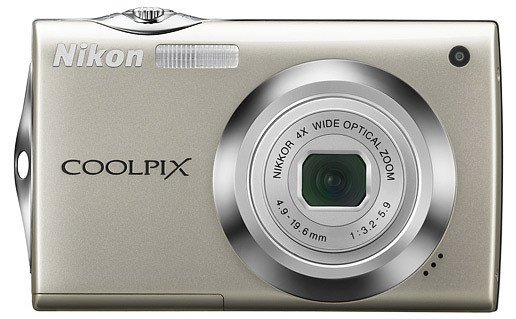 If you are thinking about purchasing the Nikon Coolpix S4000, I urge you to reconsider. The camera looks nice and has some features that sounds pretty cool, but ultimately, the S4000 is a total waste of money. This entry was posted in Bicycle Touring Pro Articles, Cameras, Electronics, Product & Service Reviews, Products, Shorts, Tech and tagged 1280 digital camera, hd digital cameras, nikon coolpix, nikon coolpix s4000, nikon coolpix s4000 review, nikon digital camera, nikon lens, worst digital cameras. im using a sony t-90… we shoot outdors and some videos to put on our blog…. light and rough camera…. i recomend…. my batteries go out in 4 hours (200 shoots / 30min. video). sorry for the bad english… hope help you a bit! see you in south america…. I usually read about a zillion camera reviews before I make my choices in that department. A Coolpix was never on my list in the past. So far I have had all Sony cameras, and they both worked great for years . Yes, they are more expensive, but in the arena of electronics (at least cameras) I believe you get what you pay for. My current Sony was purchased because of it’s compact size, and video taking ability, so I traded off a good zoom for that. For really good shots from a distance a decent SLR camera is the way to go. Don’t go cheap! Especially if your business is dependent upon good pictures AND video! Get a Canon PowerShot or go to this site…. I’ve been looking for a good cheap camera to take cycling, I guess this is one to avoid! So far the best I’ve come up with is buying a phone with a 5mp camera – it’s not great (no optical zoom, for example), but it does save a lot of space and weight! It’s strange that you only get a two-week warranty. Is this normal in the US? Here in Europe, the minimum warranty for absolutely anything is one year with a 100% cash refund (i.e. no credits or restocking fees). Great website and shame about the camera! Try Panasonic Lumix DMC-TZ10 which may not be the cheapest but has probably the best wide-angle lens in class and doesn’t fail like (un)coolpix. Hello, my name is Mark. I am a high school student about to graduate, planning on living a nomadic lifestyle. I plan on riding my bike around the world with a simple message which is you can do anything you want no matter what anyone tells you as well as you can be just as happy living very minimal compared to being very wealthy. 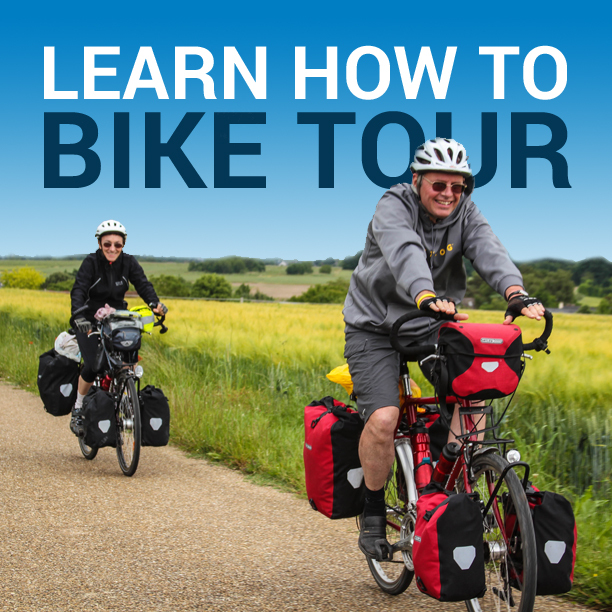 I was looking to contact some bloggers (or anyone with bicycle touring experience) who share a similar passion of living a nomadic life style. I was hoping I could barrow some of your time to ask a few question and share some stories. THANKS!!! Have a great day/ or night.